We’re here to share in your vision — to understand where you stand and help you get where you’re going. And as a partner in your journey, we’ll ensure that you can grow with confidence. So take a breath and know that, whatever happens next, you’ll be ready and we’ll be by your side. Joining the Marlin team in June 2016, Jeff brought with him a unifying passion for small business and extensive experience in lending. After graduating from the University of Michigan with a bachelor’s degree in Economics, Jeff spent over 35 years working for companies that specialized in lending to small and medium-sized businesses. During that time, Jeff helped found both US Express Leasing and Everbank Commercial Finance. Jeff’s hobbies include golf (decent), beekeeping (better) and skiing (best). He’s also an avid reader of historical fiction and historical reality, especially of the Civil War and WWII. From his early days as a Senior Auditor at Deloitte to his CFO years at a large, complex and publicly-traded company, Mike has successfully developed and executed against business strategies, achieved financial results, reduced costs and improved operational processes. His hard-to-come-by combination of financial experience and tremendous people skills make him the perfect addition to our executive team. In his role at Marlin, Mike manages all of our accounting, financial reporting and planning, treasury, tax and investor relations activities. When not crunching the numbers, Mike spends time in his community, coaching youth baseball and basketball. Mike is a proud alum of York College of Pennsylvania, enjoys non-fiction literature and cooking for his family. Lou delivers on his commitments. It’s a big reason why everyone likes working with him — in addition to his entrepreneurial spirit, flexibility and customer-service-oriented approach. After earning an MBA from Drexel University’s LeBow College of Business, Lou worked in the equipment finance and asset-based lending industries for over 30 years before joining the Marlin team in 2017. He’s an active member of the Equipment Leasing and Finance Association (ELFA) and currently chairs its annual Credit & Collections Conference planning committee. In Lou’s free time, he likes to get active by playing tennis, cycling, skiing and golfing. He’s equally passionate about music, especially seeing concerts and playing piano. Practicing business law for over 14 years, Ed worked for law firms Morgan, Lewis & Bockius and Foley & Lardner before joining the Marlin team in 2010. His ample experience spans mergers, acquisitions, financing, restructurings, outsourcing transactions and public offerings. Ed earned his J.D. from the University of Michigan Law School and his undergraduate degree at Gettysburg College. A family man, Ed enjoys coaching youth baseball, basketball, and wrestling. When not on the field, court or mats, Ed finds himself lost in the literary works of Cormac McCarthy. With a degree in Finance from the University of Illinois and more than 30 years of success driving operational excellence, balance sheet growth and profitability, Ray is the perfect leader to continue moving our business bank forward. However, Ray’s success since joining in 2011 is not his alone. He invests in building world-class teams and empowers them to exceed even his expectations. Outside of work, Ray offers his strategic insight as a board member of several nonprofits. He’s also a fan of the open air, spending his free time skiing, hiking, boating and golfing. With a bachelor’s degree in Marketing from Temple University and over 25 years experience in organizational leadership, business development and financial services, Mark has brought vision and integrity to the Marlin Sales Team throughout his 18-year tenure. He understands the unique needs of the industries we serve most notably the healthcare, office equipment, food service, telecom, commercial vehicle, security and technology industries. Mark is best known for his avid Philly sports fandom. He’s an Eagles season ticket holder and enjoys his role as a youth basketball coach. With extensive experience in challenging business environments, Greg has a proven track record of success in operations, sales, finance, strategic relationships and business management. Greg brings potent energy and precise focus to develop our team culture and drive results. After earning his MBA at Bowling Green State University, Greg spent nearly 30 years honing his skills, then joined us at Marlin in 2014. Greg spent years volunteering for Boy Scouts of America. He’s especially fond of fishing and boating, morning jogs with his Doberman, Oskar, and watching Ohio State football. Go Buckeyes! After receiving his bachelor’s degree in Electrical and Computer Engineering from Drexel University, Jim’s professional journey included lead technology and architecture roles in industries such as electronic toll and traffic management, platform security and the mortgage sector before joining the Marlin team in 2007. 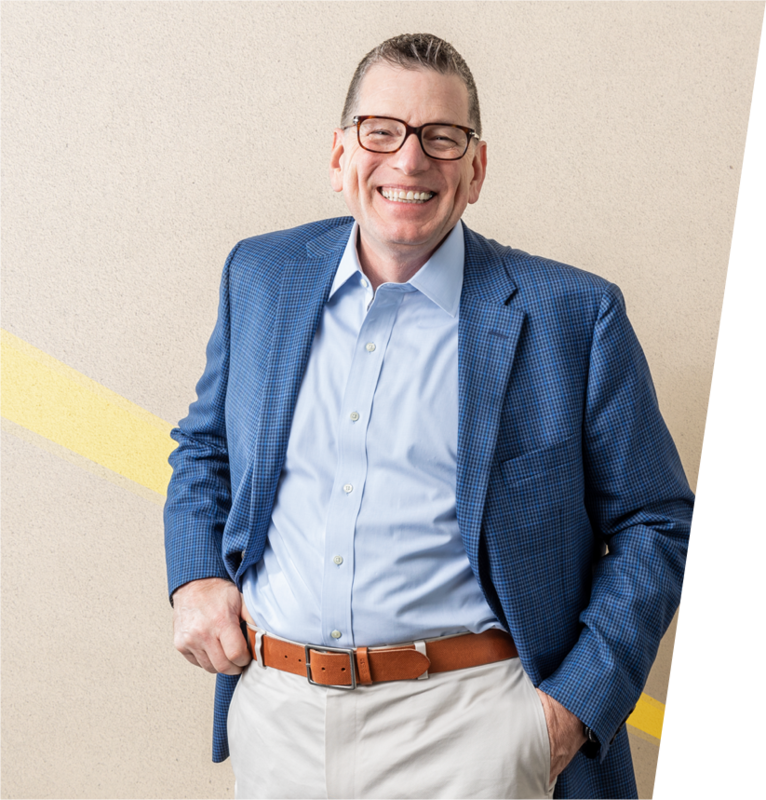 With over 25 years’ experience driving business results through innovation, Jim has been recognized for his ability to apply transformative technology solutions across business workflow and customer engagement platforms. Jim’s passions include spending time with family, reading, kayaking, golfing, jaunting to the Jersey shore and hiking with his Labradoodle. He is also an avid Philly sports fan. Aswin may best be described as a digital enthusiast, focusing on digital transformation, digital customer experience and data-driven digital marketing. He came to Marlin in 2017 having led organizations large and small, established a start-up, always bringing a passion for building customer experiences through data and analytics. Aswin honed his analytical prowess at the Indian Institute of Management in Calcutta, earning an MBA in Finance and Strategy. In his free time, Aswin is either reading or traveling. While his favorite place to date is Utah’s Zion National Park, he’s got his sights on Australia. While earning a master’s degree in Human Resource Management at Central Michigan University, Laura began her track record of adding credibility and integrity to organizations through the implementation of both practical and forward-thinking solutions. A progressive human resources leader, Laura has artfully aligned our organization, people and rewards with our business strategies since joining Marlin in 2017. Laura is also passionate about giving to others, especially through volunteering her time. And when not working or volunteering, Laura enjoys hosting and cooking for family and friends, traveling and running.